A benefit concert featuring The Charlie Daniels Band and Marshall Tucker Band at the Times Union Center last month raised more than $37,000 for Soldier On. 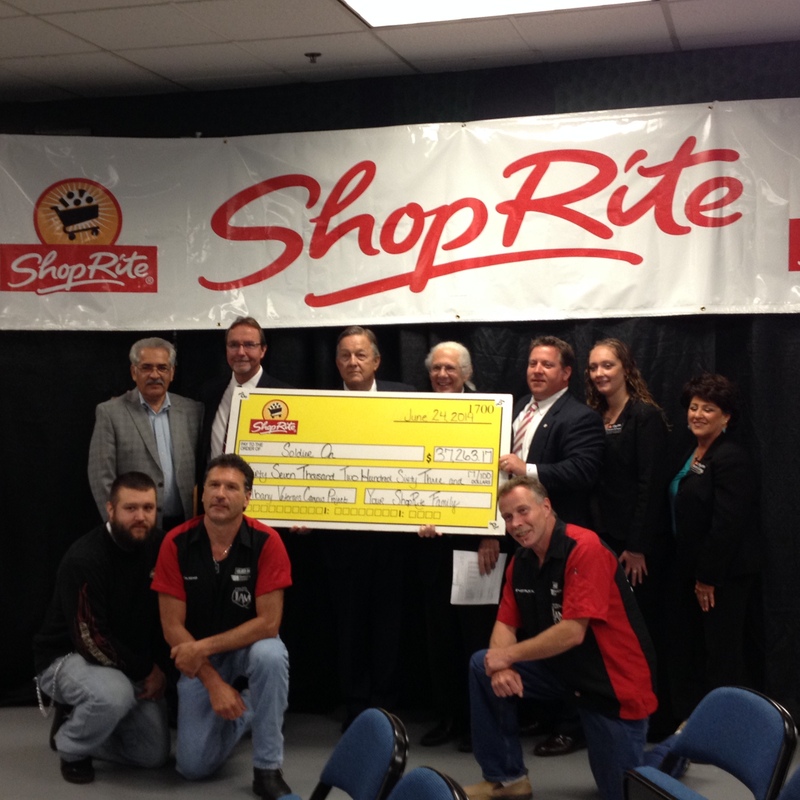 At a press conference held on June 25th, the check was presented by Albany County Executive Dan McCoy, Shop Rite representatives, and Bob Belber, general manager of the Times Union Center. Earlier in the day, a motorcycle run and street festival were organized by Pearl Street Jam. The donations will be used to build a campus at the former Ann Lee Home, which will serve as permanent, supportive, sustainable housing for formerly homeless veterans. The project is slated to begin construction within 18 months and will provide permanent housing for over 100 formerly homeless veterans. Like the Gordon H. Mansfield Community in Pittsfield, MA, this cooperative will provide veterans with case management, substance abuse counseling, mental health services, employment and training, and transportation. Soldier On looks forward to building more veterans housing in Albany and is incredibly grateful for the extreme generosity shown by the people and public officials throughout the entire benefit. Carin Rhodes is a veteran of the United States Army, a recipient of Soldier On’s outreach services, and, most recently, a peer specialist for Soldier On’s Supportive Services for Veteran Families program in eastern New York. Carin graduated from Taconic High School in June of 1996. Six months later, she enrolled in the National Guard in North Adams and served there for 2 ½ years before joining the U.S. Army. Carin spent a total of 8 ½ years on duty and was stationed in Hawaii and Georgia. While stationed in Hawaii, Carin married and she and her husband had three children. In May 2005, she discharged from the Army in order to focus more on her education and children. She worked as a government contractor and began school full-time in July 2006. In June 2010, Carin graduated with her Bachelor’s Degree in Criminal Justice and Mental Health. 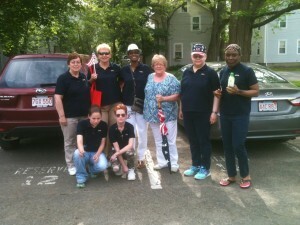 In 2011, Carin separated from her husband and she and her three children moved back to Massachusetts. Shortly after, her husband joined the family and they bought a house in Pittsfield. In April 2013, however, the two ended up divorcing. Carin got a job at a social service agency in Pittsfield but the pay, her savings, and her education benefits weren’t enough to sustain their living situation. She was receiving no financial help from her husband and she couldn’t afford the rent by herself. That’s when Carin sought help from Soldier On. Carin visited the Soldier On site in Pittsfield and spoke to Dominick Sondrini, Supervisor of Soldier On’s Supportive Services for Veteran Families (SSVF) New York State outreach programs. Dominick gave Carin the organization’s intake number, 1-866-406-8449, and scheduled an appointment with a case manager. Carin met with the Soldier On/Springfield Partners case manager at the local library. The following day, Carin was contacted and told that she was approved for financial assistance with a security deposit and the first month’s rent for an apartment that she had found on Craigslist upon eviction from her previous home. Carin’s new home has 3 bedrooms, 1.5 bathrooms, a fenced in backyard, and a basement with laundry. 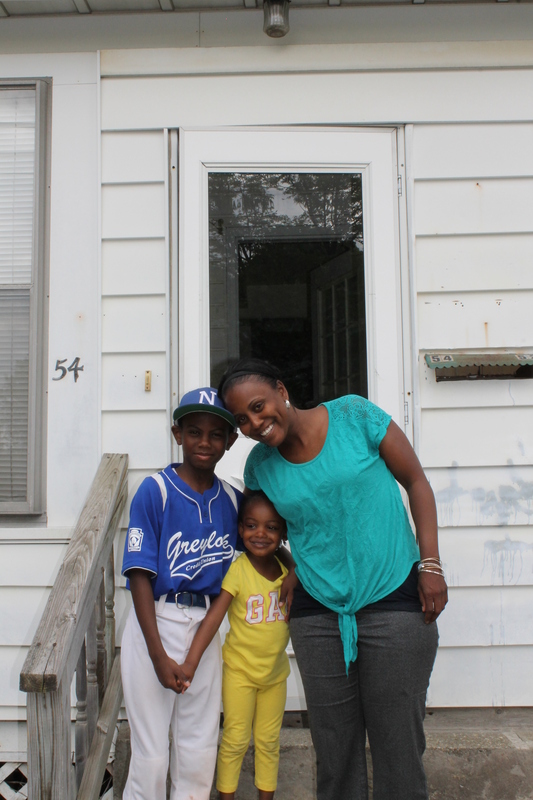 She and her three children were able to move in to their new home in December of 2013. 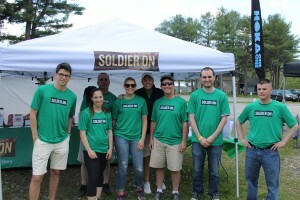 Carin is now employed at Soldier On as a peer specialist in eastern New York. She is currently enrolled at Cambridge College for her Master’s Degree in Mental Health and Substance Abuse and expected to graduate in December 2014. 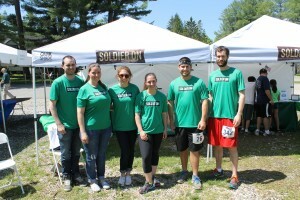 Soldier On is paying for Carin to finish her Master’s Degree and helping with her internship hours. Carin was also given a new vehicle with her position and says she loves her job. In her peer mentor position, Carin conducts follow up meeting with veterans, and organizes community outreach such as work in soup kitchens, shelters, and donation centers. Expand health benefits to cover care for veterans outside the VA system. Many VA medical centers are not sufficiently responsive to the needs of America’s veterans. Those who have fought should have a choice in where they get services that effectively meet their needs, including private medical care. The VA health care system needs to become a partner in a community-based services approach if our nation’s veterans are going to receive effective care and support. Many new initiatives that are aligned with best practices are being implemented in the VA health care system. For instance, it is shifting from a focus on disease management to a patient-centered health promotion model. Patient Aligned Care Teams will integrate primary care, behavioral health and social support needs in many places. Still, there are multiple systemic and retrograde “cultural practices” in many regional offices and VA medical campuses that pose barriers for veterans to access available care systems. Both the Veterans Benefits and Health administrations function within siloed structures and collaborative communication pathways have yet to be developed. Pension and benefits approval continue to be backlogged. Local and regional loyalties often take precedent over loyalty to the VA central administration’s initiatives. Staff hiring at medical facilities is slow and has not kept pace with needs because of aging veterans, recent combat veterans entering the system, new claims of Agent Orange exposure, post-traumatic stress disorder, traumatic brain injuries and sexual traumas. Soldier On is an example of an integrated, community-based approach to serving veterans. We are one of the largest community-based providers of shelter, housing and supportive services, operating seven Supportive Services for Veteran Families grants throughout five eastern states. Next year, we are slated to increase our breadth of service and assist more than 5,315 veterans. Of the 306 veterans we house in our beds each night in our three Massachusetts locations, 98 percent are dually enrolled in both MassHealth and VA health care. Soldier On’s service model is shifting from a shelter-bed provider to one that offers safe, sustainable and affordable permanent housing to veterans and flexible outreach services at the location of a former service member’s choice. 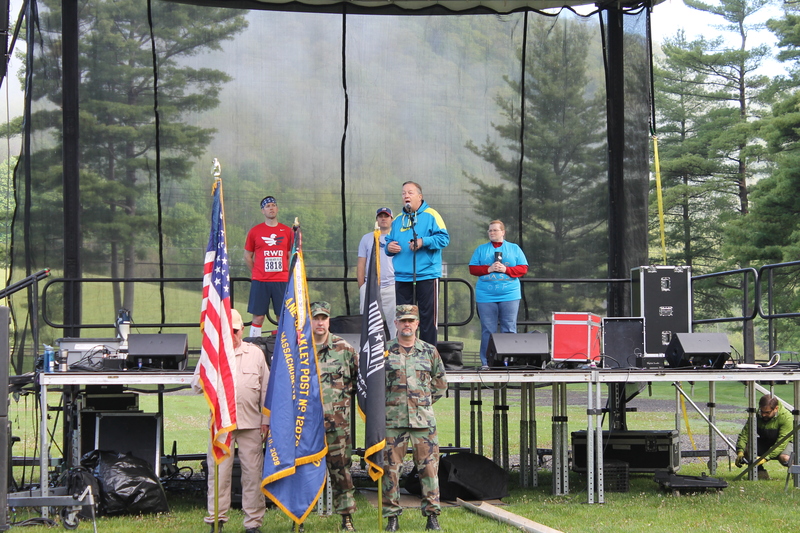 These include transportation, medical, case management and mental health outreach where they live so that veterans have access to the appropriate level of services and receive support that ensures their well-being and dignity. 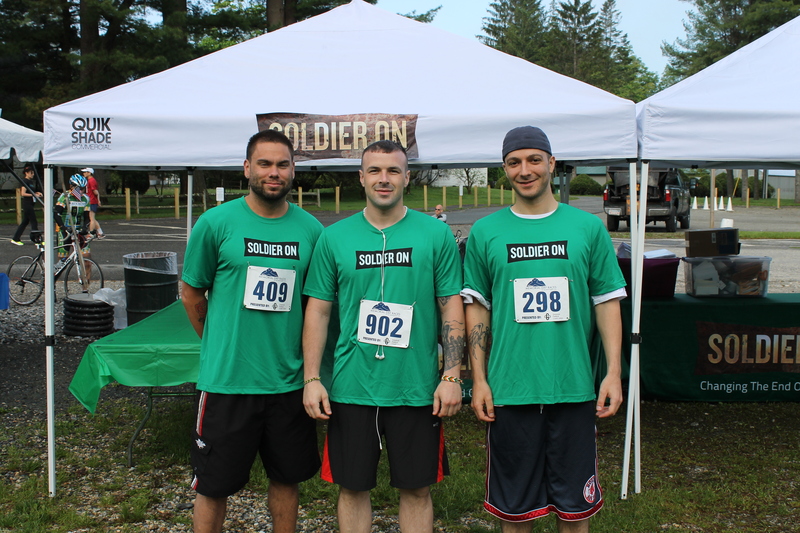 Soldier On partners with community-based agencies through its service areas, which provide targeted specialty services such as tenancy preservation, mediation and locating affordable housing. Peer specialists are trained by partnering organizations to assist veterans who have difficulty maintaining health, economic and housing stability. These strategies are effective because they are based on flexible, integrated care models, providing the right level and intensity of service based on a needs assessment and participant-driven housing stabilization plan. This also promotes collaborative, rather than duplicative, local and regional services through partnerships with other community-based agencies, health care, local government and businesses. We urge our leaders to streamline veterans’ access to health care services through multiple front doors. We owe this level of responsiveness and respect to veterans who met their contract with America. It is our turn to meet this contract. 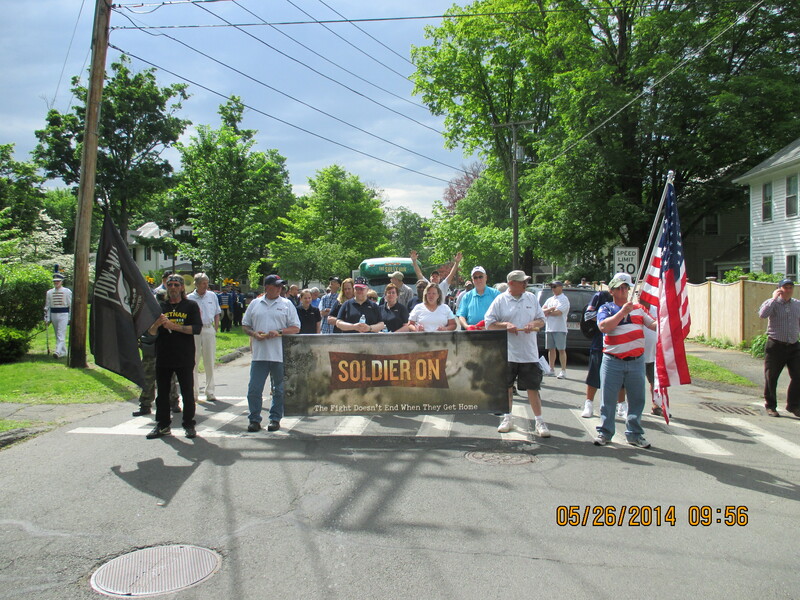 Soldier On experienced a very successful 2014 Memorial Day Weekend! 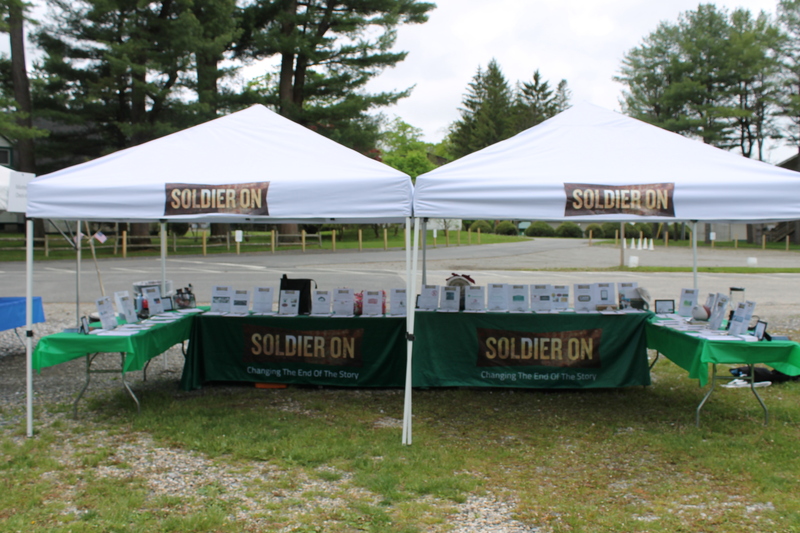 We hosted our first Memorial Day Silent Auction at the marathon races at Tanglewood in Lenox, MA. 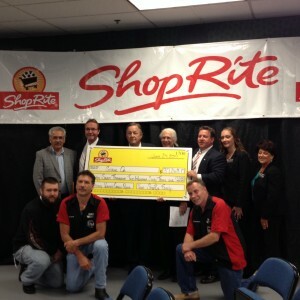 The auction was extremely successful due to the generosity of local companies and community supporters. 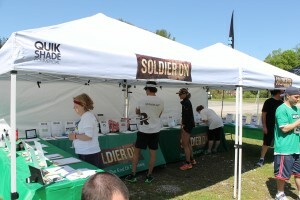 The auction and other individual donations that weekend raised over $6,000 for Soldier On and our veterans programs! 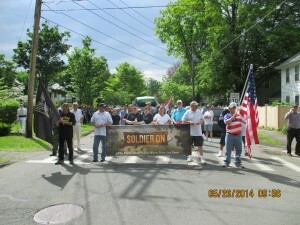 On Monday, Soldier On staff and veterans marched in Memorial Day parades in Pittsfield and Leeds, MA. 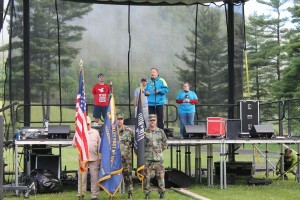 Following the parade, Soldier On executive chef and staff hosted Memorial Day picnics for our men and women to enjoy! 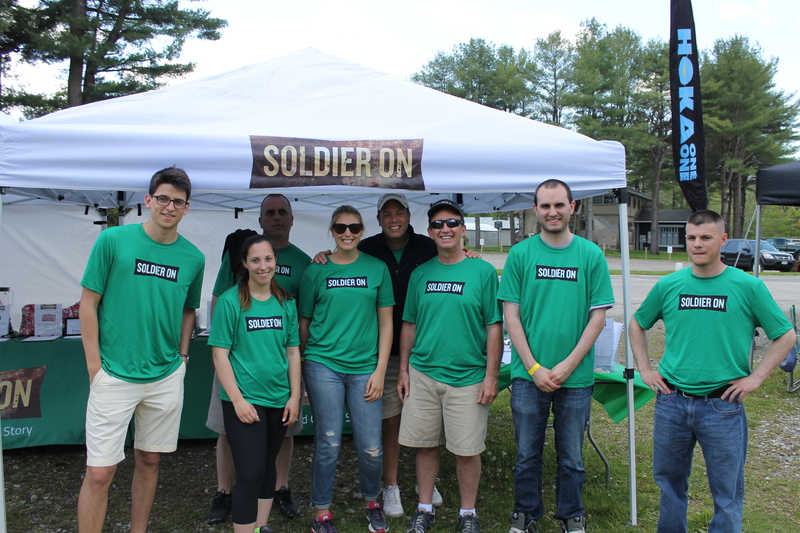 A very special thank you to all of our volunteers, from Soldier On and General Dynamics, runners, bidders, and to the Memorial Day Marathon Races for hosting us!